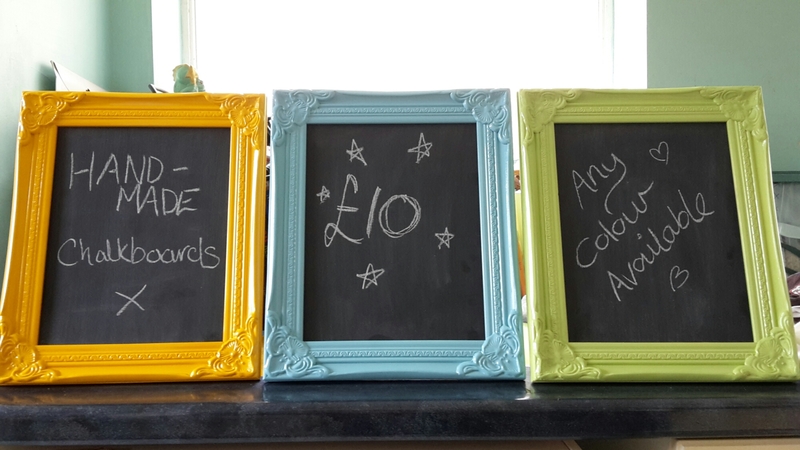 Make new from the old and recycle your old photo frames! All you need is chalkboard paint (readily available from most DIY shops) a can of spray paint in your favourite colour, and a spot on the wall (or side) to place it. In my personal opinion I think they look great in the kitchen.